"Ignore the chatter, keep your costs minimal, and invest in stocks as you would a farm." I couldn't have said it better myself! In CNBC's recent interview with Warren Buffet, he identified three of the most important concepts in investing. Namely, he suggested ignoring the chatter, keeping costs minimal, and investing in stocks as you would a farm. 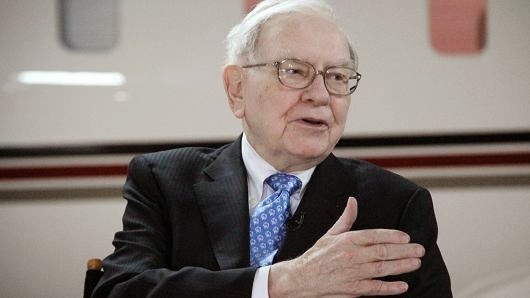 We've been discussing this approach for several YEARS now and it is truly refreshing to see such prominent investors such as Mr. Buffet reiterate what he considers to be THE fundamental elements of successful investing. The braggarts and hotheads seem to get the airtime and ink, but the those who Invest Like A Farmer reap the profits.